What did she have for lunch? Have you got the Harry Potter videos? What did you put in your bag? 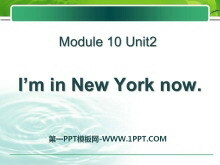 《I'm in New York now》PPT课件4 Where is Daming going? He is going to the airport. What is he going to take? He is going to take clothes shoes presents the ticket and passport. When is he going to the airport? 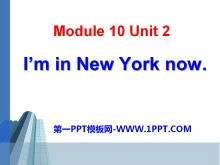 ..
《I'm in New York now》PPT课件3 Revision 复习 at the airport 在飞场 exciting 兴奋地 lots of 许多 everyone 每人 speak English 讲英语 American food 美国食物 find out 找出 ... ... ... 一、你能读出下面动词的过去式..
《I'm in New York now》PPT课件2 Lets chant. feel feel I feel nervous. all right all right It will be all right. meet meet Meet in New York. idea idea Thats a good idea. Where is Daming going to go？ ---- To the..
《I'm in New York now》PPT课件 Excise : T:Daming runs very fast S:Daming ran very fast T:Grandma drink some water S:Grandma drank some water T:Daming goes to New York S:Daming went to New York ... ... ... 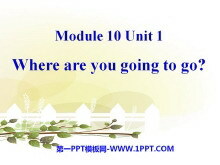 Teach..
《Where are you going to go?》PPT课件4 教学目标 1. 单词方面： 能够听懂、会说并认读单词list、shoe、ticket、toothbrush、airport，能听会读单词nervous 能记住会写单词：shoe、ticket 2. 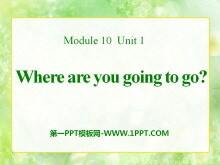 句子方面： 学习目标语句：Where ..
《Where are you going to go?》PPT课件3 Lets sing a song Summer Holiday is coming... Where are you going to go? Listen to the tape and answer Where is Daming going to go? 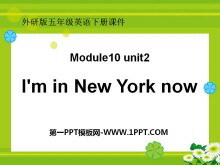 To New York Statue of Liberty World Trad..
《Where are you going to go?》PPT课件2 Lets sing a song Summer Holiday is coming... Where are you going to go? Listen to the tape and answer Where is Daming going to go? 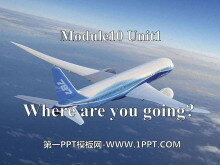 To New York Statue of Liberty World Trad..
《Where are you going to go?》PPT课件 Where are you going? What are you going to take? 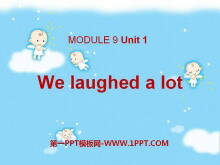 Can you remember能记得吗： What is Angela going to take? 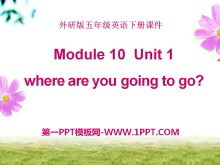 Angela is going to take A: What are you going to take? 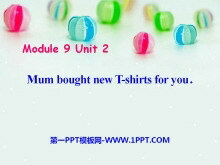 B: Im going..
《Mum bought new T-shirts for you》PPT课件2 Poem. Do you agree do you agree that there are monkeys in that tree? 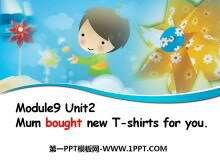 Yes you're right. I do agree. Look very carefully there are three. 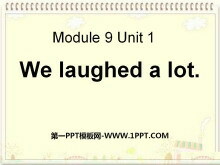 Do you agree do you agree that..
《We laughed a lot》PPT课件5 动词变过去式 1.is was 是 2.are were 是 3.do did 做 4.doesdid 做 5.havehad 有，吃，喝 6.hashad 有，吃，喝 7.live lived 居住 8.drive drived 驾驶 9.cook cooked 做饭 10.workworked 工作 ..
《We laughed a lot》PPT课件4 go went watch watched is was eat ate drink drank buy bought do did A: What did this man do last week? B: He played basketball. A: What did these men do last week? B: They played foo..